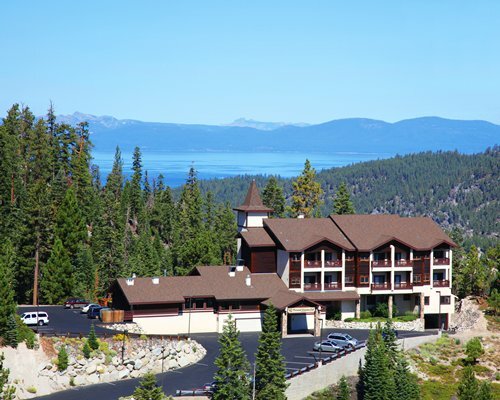 Lake Tahoe is a sublime mix with big-city entertainment tucked into the beautiful snow-capped Sierra Mountains. 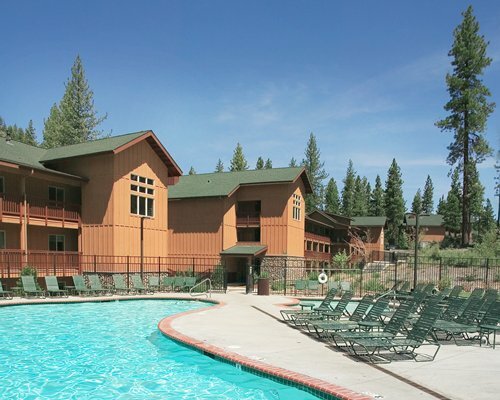 It's where people go to rejuvenate their spirit, rediscover their family, relax in scenic splendor, and do a little gambling. 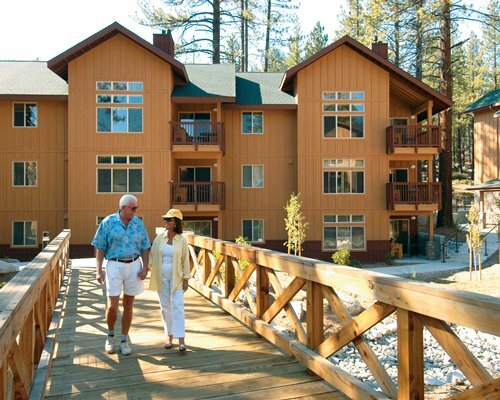 The resort is poised to take full advantage of Lake Tahoe's charms. 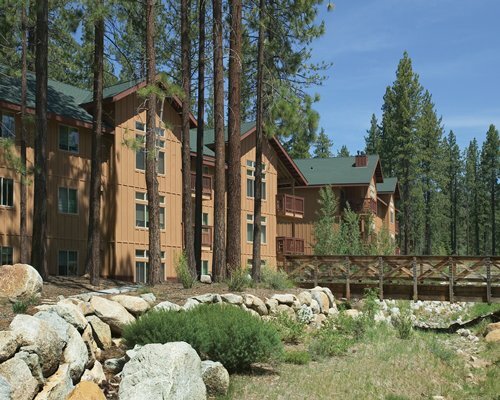 Snow and water skiing, mountain biking, kayaking, jeep adventures, and cruises are all part of the fun. 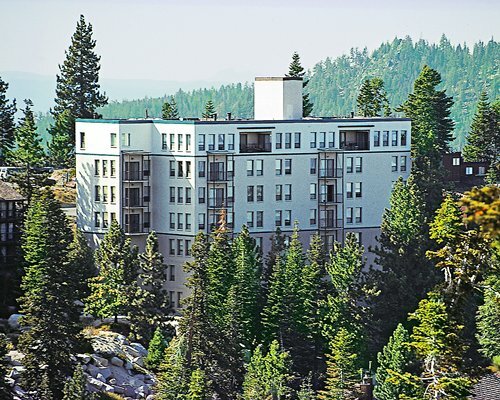 The resort is just a 10-minute walk from Nevada Beach State Park and a six-minute drive from the Gondola at Heavenly or the casinos in Stateline. 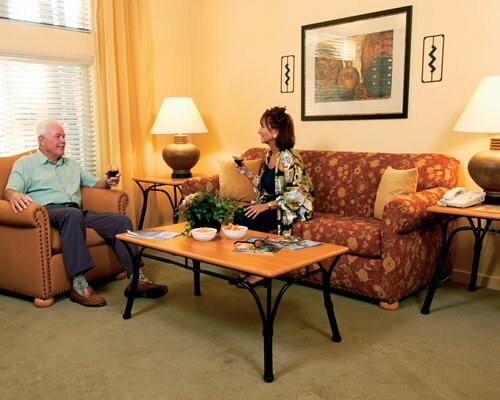 Your vacation home at The Resort at South Shore features a full kitchen, washer and dryer, fireplace, 2 televisions, DVD player and telephones. 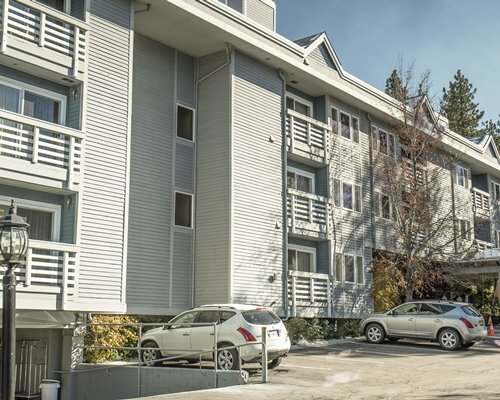 1 BR units OCC: Max 4/Pri 2 have 1 bath, 1 queen bed and a murphy bed. 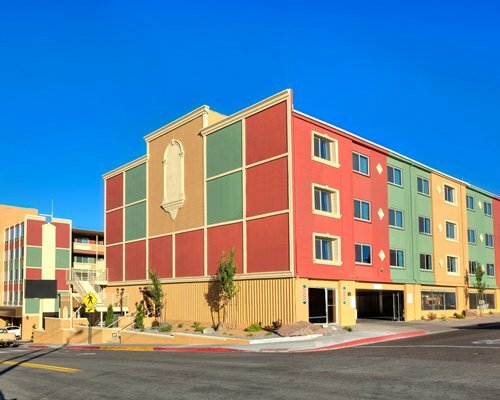 2BR units OCC: Max 6/ Pri 4 have 2 baths, 1 king bed, 1 murphy bed and 2 twin beds or 1 king bed, 1 murphy bed and 1 queen bed. 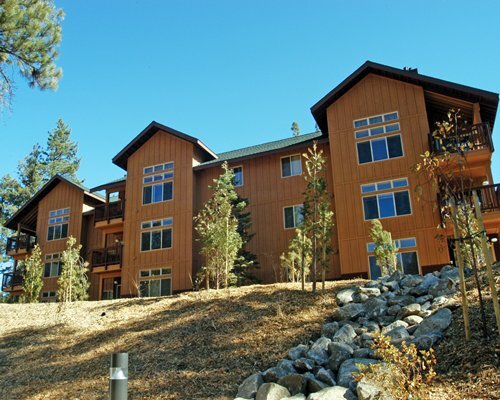 3 BR units OCC: Max 8/Pri 6 have 2 baths, 1 king bed, 1 queen bed, 1 murphy bed and 2 twin beds. Check in time is 4PM. Resort does not not provide beach towels. 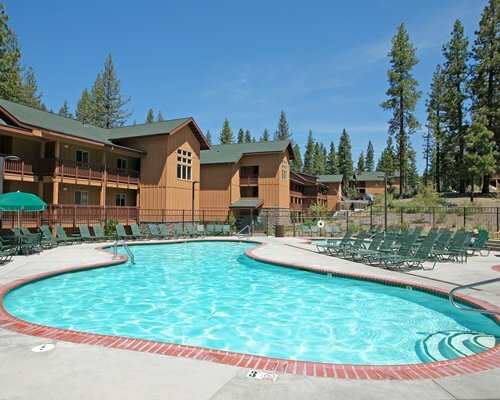 Resort is located approximately 61 miles from Rene-Tahoe Airport. From airport, go West on East Plumb Lane towards Durham Road. Turn left to take US-395 ramp towards Carson City. Merge onto US-395 S exit #57B towards Carson City/South Lake Tahoe. Merge onto US-395 and continue for approximately 24 miles. Take a slight right onto US-50. Once in Zephyr Cove area turn right on Elks Point Road. The resort located on the right. NV law requires vehicles to carry tire chains in the winter.